In celebration of the Sydney Gay and Lesbian Mardi Gras’s 40th anniversary, SBS brings a special, glitter-filled broadcast of the event to living rooms across the nation on Sunday, 4 March at 8.30pm. 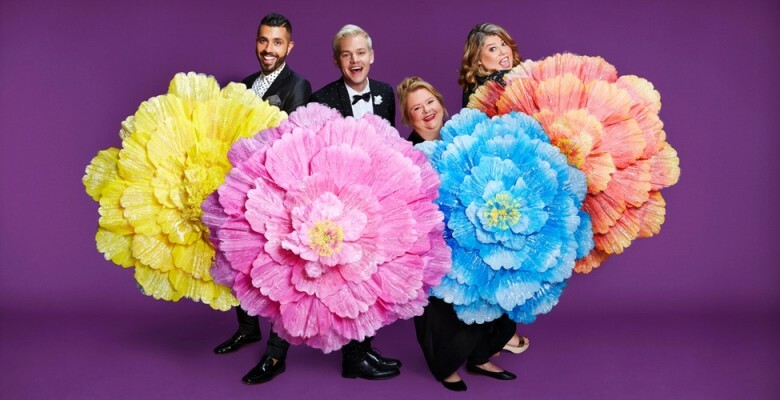 Fresh off the back of an epic year for the LGBTIQ+ community, actress and equality activist Magda Szubanski, comedian Joel Creasey and The Feed’s Patrick Abboud are joined by comedian and television personality Urzila Carlson to host coverage of the event. The television broadcast will feature the best and brightest floats and costumes in the parade, interviews with special guest and celebrities including international music icon Cher, commentary from Magda Szubanski and Joel Creasey, as well as on the ground coverage from Urzila Carlson. The Feed’s Patrick Abboud will present a series of stories which introduces us to parade participants, the people and special meanings behind the floats, and the stories of Mardi Gras marchers– including the 78’ers who pioneered this global event 40 years ago.